Called after a stream running close by, the name is derived from the old mediaeval tin works in the area. In one of the loveliest parts of the island overlooking the cliffs near St. Catherine's Lighthouse, for many years it was an important centre for smuggling. Nowadays the excise is paid and the drinks are legal. 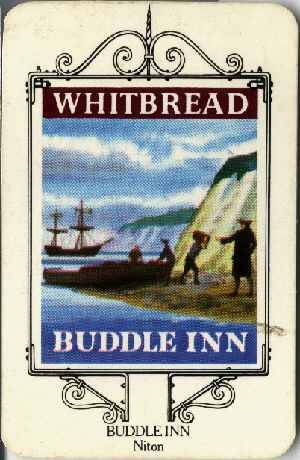 Card set © Whitbread & Co. Ltd.